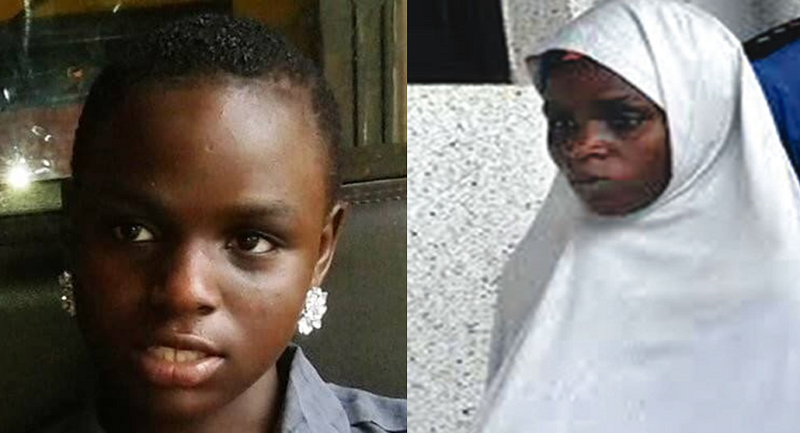 Reports have it that alleged kidnap victim Ese Oruru had been safely reunited with her family after she was taken away from them 5 months ago. Sun News Online journalists had a sit down with the the 14-year-old for an interview. Ese claims she has no recollection of how she ended up in Kano. People say Yinusa is your boyfriend. Is this true? Ese: We travelled to Kura the next day with one man like that. He is the chief of the town. When we got there, they took me to one place and there they gave me hijab; they put it on me. And after that, they took me to one house in Kura. And from there on Monday, in the morning, we went back to the Emir’s Palace in Kano; then in the afternoon, we travelled back to Kura, to stay in the house. Did you recognize her as your mother? But when you saw her on Tuesday at the Police Force Headquarters in Abuja, did you recognize her as your mother? Ese: No, I don’t know. But they did not give me because I don’t like taking injections and I will not take injection when I am sick. It was only when they arrested me on Monday in Kano that they took me to the hospital. And when we got here in Abuja, they took me to the hospital again yesterday, Tuesday. Those are the only two occasions that I have gone to the hospital. Did they give you any medicine? Ese:I tell you I’m confused. I don’t know what to do (then she started crying).